I’m feeling like I’ve almost got a handle on the 30 Day Challenge. 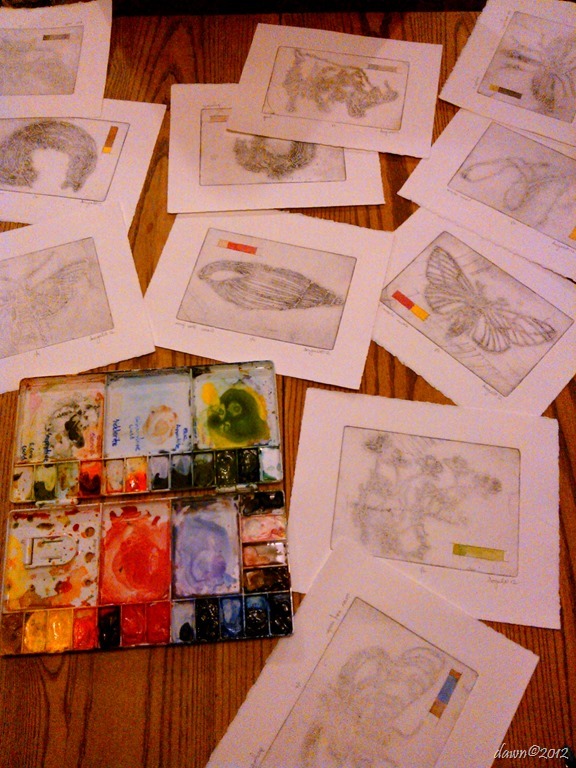 All of my plates are prepped and engraved and I’ve printed and added color to 22 prints. So eight more to print and color. Then I’ve got to paste them to the 8 x 10-inch canvas boards and I’m done. It sounds easy enough. The best part about this exercise is being back into printmaking. I really do love it and whatever I decide to do going forward it will combine printmaking and textiles. And stitching. And possibly 3D. And found objects. And stuff. And junk. I’ve been inspired by a couple of blogs this week including Mrs. Textiles and as always, Joetta Maue.